Varèse Sarabande will release the LOVELESS – Original Motion Picture Soundtrack on November 10, 2017. The album features the original score composed by Evgueni and Sacha Galperine (The Wizard of Lies, The Past). LOVELESS is directed by Andrey Zvyagintsev (LEVIATHAN) and won the award for Best Film at the BFI London Film Festival and the Jury Prize at the Cannes Film Festival. 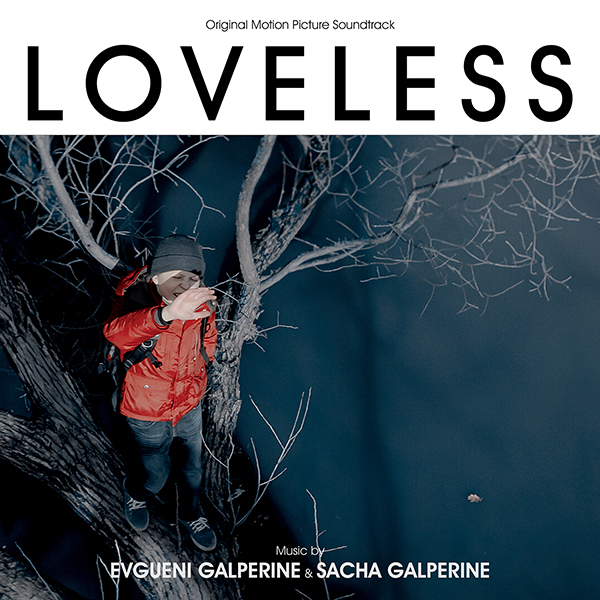 Evgueni and Sacha began to write the score for LOVELESS without seeing a frame of film or a word on paper. “Andrey wanted us to give an absolutely free interpretation of the story based solely on his description, hoping that the music would become a missing piece of the psychological and emotional puzzle,” said Evgueini. “In the language of music,” Evgueni continued, “ it would be one note, one chord, one rhythm – it’s how the idea of ’11 Cycles of E’ was born.” That piece both opens and closes the film. Brothers Evgueni and Sacha Galperine relocated to France, from their native Russia in 1990, to complete the classical music training they’d begun in Moscow. Soon after arriving in Paris, Evgueni was drawn to composing film scores while still studying symphonic composition and electro-acoustic music at the National Conservatory (CNSM) in Paris. Sacha turned to rock and electronic music after receiving a first prize for violin performance at the Conservatory of Versailles. Evgueni and Sacha Galperine are equally at ease and focused on storytelling, whether working on independent films—over a dozen in Europe and Asia— mass-market films, or contributing music to blockbusters like M. Night Shyamalan’s SPLIT, and Garry Ross’ The Hunger Games. Their international credits include Luc Besson’s The Family, Asghar Farhadi’s The Past, Eric Lartigau’s La Famille Bélier, Alix Delaporte’s Le Dernier coup de Marteau (official selection at the Venice IFF), Nicolas Provost ‘s The Invader (Best Music award at Ghent Film Festival), Yilmas Arslan’s Brudermord, and Jiang Wenli’s Lan. Their recent credits include the HBO Films Original THE WIZARD OF LIES, starring Robert De Niro and Michelle Pfeiffer, directed by Barry Levinson, the acclaimed French TV show Le Baron Noir, Courtney Hunt’s The Whole Truth and Barry Levinson’s upcoming HBO film HAPPY VALLEY starring Al Pacino.